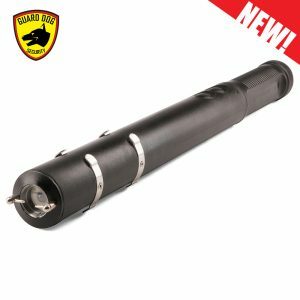 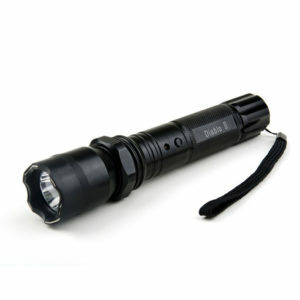 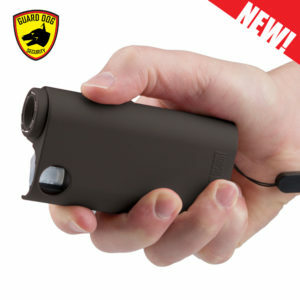 In the market for non lethal personal defense weapons, the stun gun flashlight can be an excellent life-saving choice. 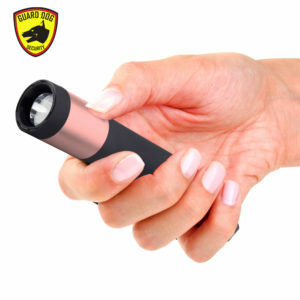 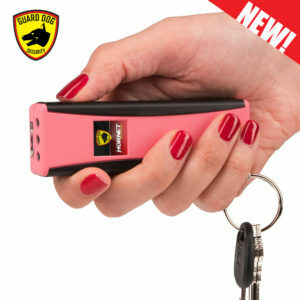 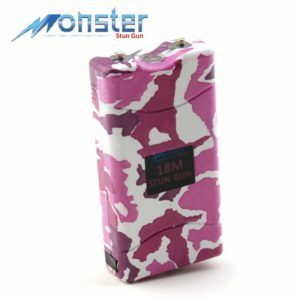 Stun gun flashlight defense weapons always pack a punch, but their smart looks disguise the fact that they are stun self protection weapons as they look like typical flashlights. 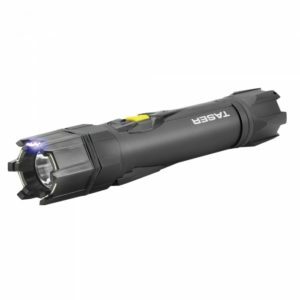 Our electric stun gun flashlights have super bright LED that is several times brighter than your average flashlight bulb. 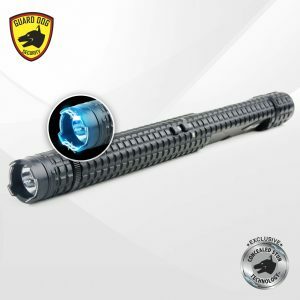 The super bright light emitting diodes can not only be used to light dark areas but also to hinder the vision of a would-be attacker. 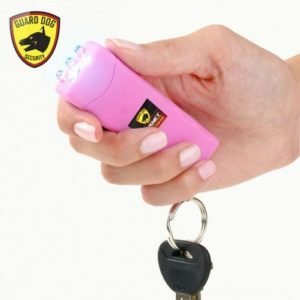 The loud crackling noise of our rechargeable stun gun flashlights would usually discourage the criminals to proceed with their plans. 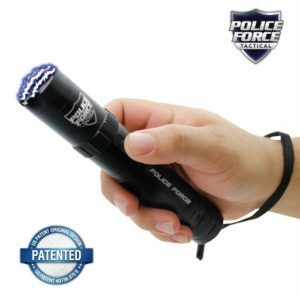 If these great features in stun flashlights are not enough to deter criminals, you can use the contact stun function to buy enough time to run and get into safety or gain an advantage in a confrontation. 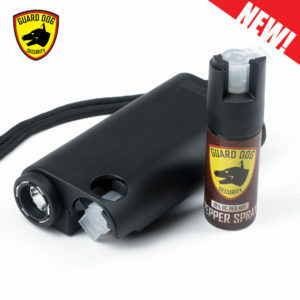 The next best thing to a bodyguard is a self defense weapon to make feel you safe wherever you may be. 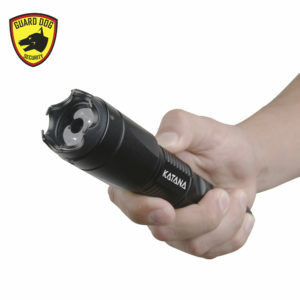 Our stun gun flashlights are lightweight, small, discrete, and easy to carry. 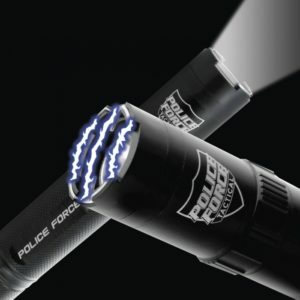 They produce a crackling jolt of electricity that usually wards off potential threats lurking around, especially in the dark. 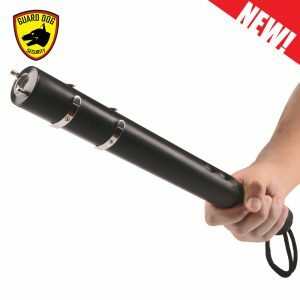 The shock can be sent anywhere within the body of the attacker to stun them, giving you enough time to run into safety and ask for help. 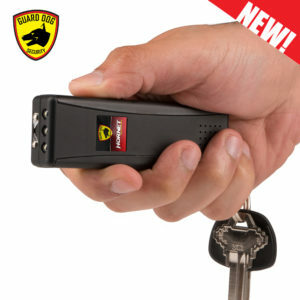 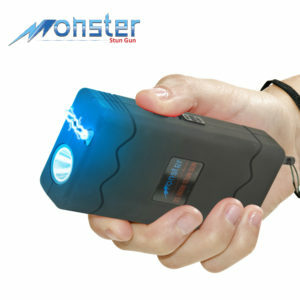 Our rechargeable stun gun flashlight is essentially two useful self defense products in one. 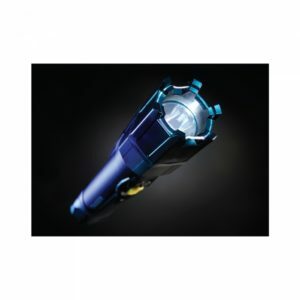 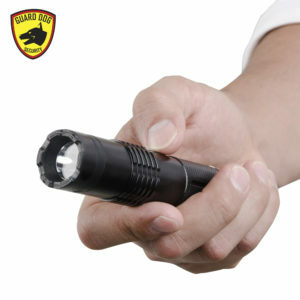 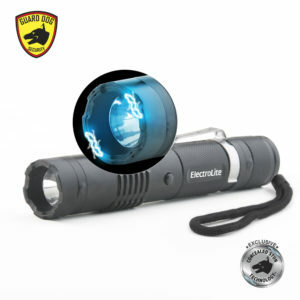 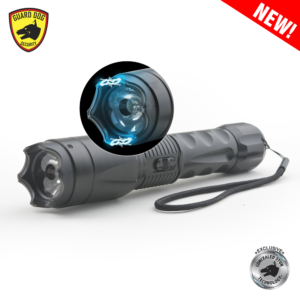 Not only can the LED light of the stun flashlight light up your way, but it can also distract the view of an attacker. 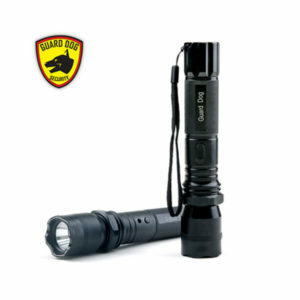 We have stun flashlights having an intense beam light with a powerful strobe effect that can blind your assailants. 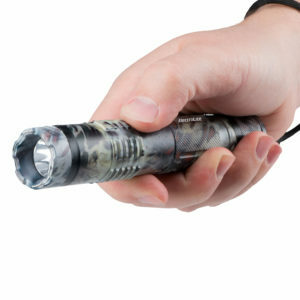 If the attackers still manage to get close to you, then you can use the stun function of the stun flashlight to incapacitate them upon contact, giving you valuable time to get away and look for help. 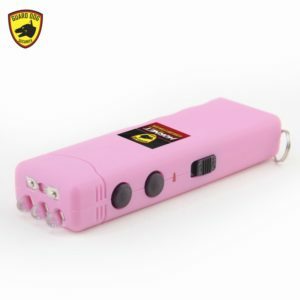 After you manage to stun your attacker, you can take advantage of the aluminum built of our rechargeable stun gun flashlights by using it to jab while giving an electric shock to the assailant. 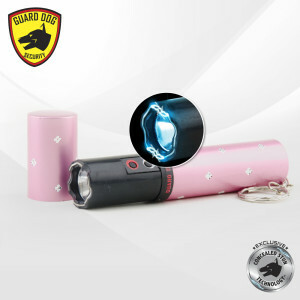 Having a flashlight stun gun wherever you feel vulnerable can give you a real feeling of security. 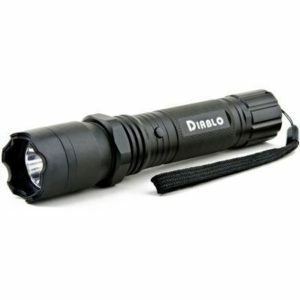 It gives you confidence knowing that you can temporarily disable your assailants using the combination of blinding, disorientation, and electroshock jabs (jabbing with the stun flashlight while pushing the stun button). 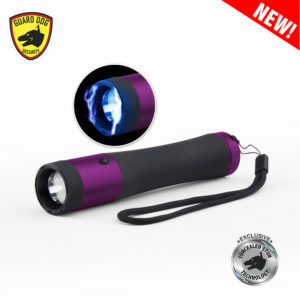 Our rechargeable stun gun flashlights with strobe light function have a compact design that is easy to carry around with you on the go. 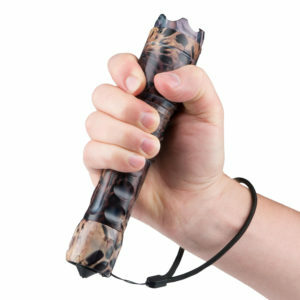 Their prongs are well concealed so that it won’t come into play accidentally and cause self-harm. 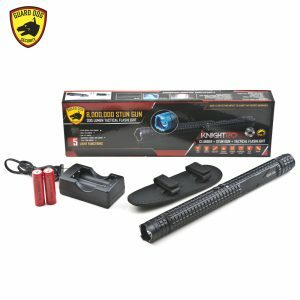 Their rechargeable batteries are proven long-lasting. 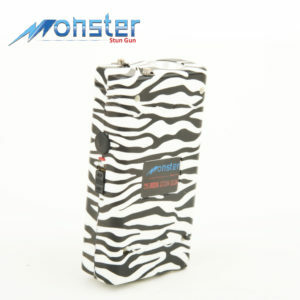 The loud shock sounds and huge sparks would make anybody heading your way to pause and reconsider their plans. 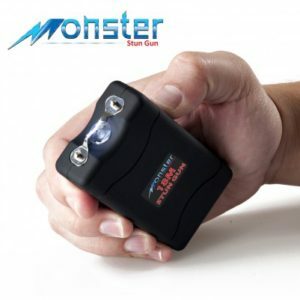 To know more the specifics of our reliable stun gun flashlight combo, please head on to the product pages of our rechargeable stun gun flashlights.